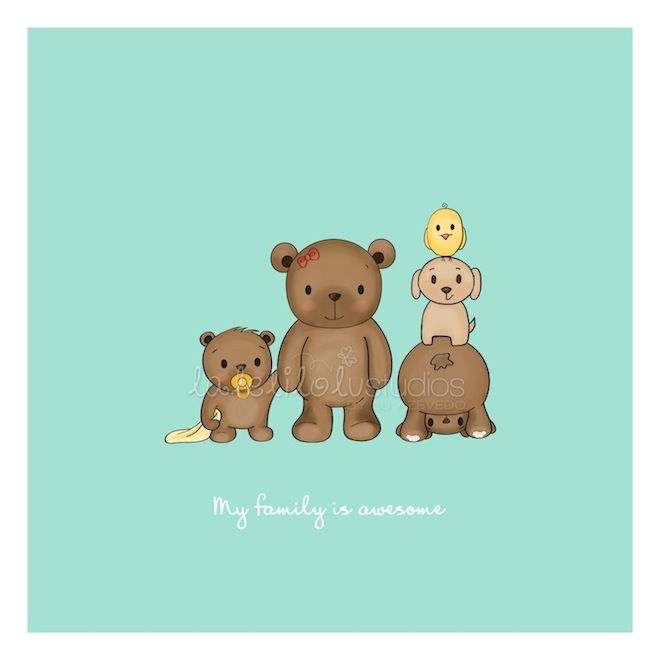 I’m very proud to introduce you this fun and cuddly family that can be customized according to your own family, regardless of how it is! Two dads, two moms, single dad, single mom, only child, many children, cat, dog, bird. Doesn’t matter. Just tell me how your family looks like and I’ll customize the print for you! 1. Family Series: 8.5 x 8.5 inch art print that coordinates with the companion prints of Family Series. It comes with the text “My family is awesome”, but you can choose to have any other quote or no text at all. Art print available HERE to purchase. 2. 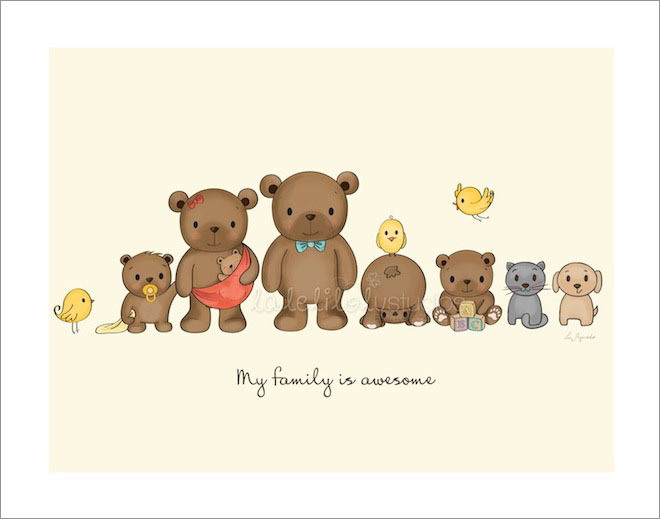 Landscape print – great option for big families, because the layout fits everybody. The background comes in beige or white and the print size is 8.5 x 11 inches. Available HERE. 3. 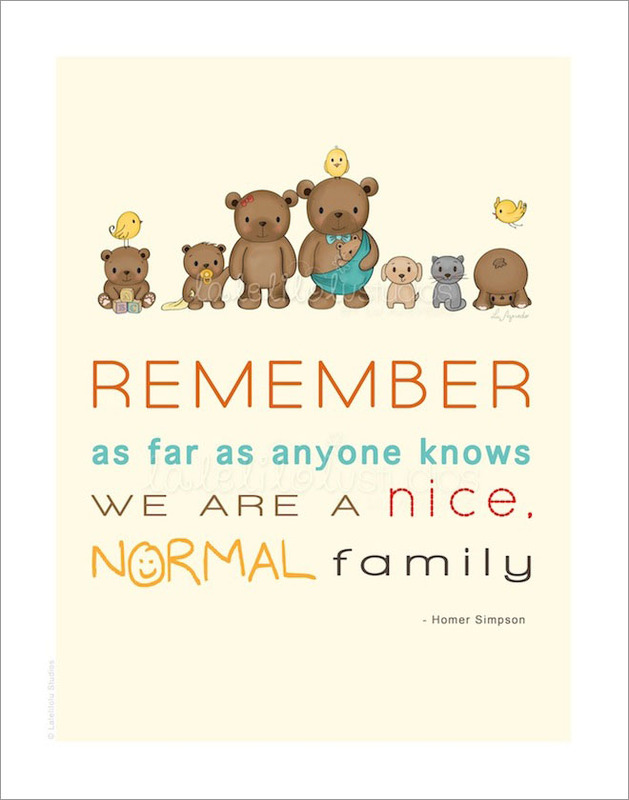 11 x 14 inch Poster, comes with the funny Homer Simpson’s quote “Remember: as far as anyone knows, we are a nice, normal family” and the illustration above it can also be customized. The poster in the picture below is of my own family and it’s already hanging on my wall. 🙂 If you want one of your family too, just go to my Etsy Shop. Cool, huh? Now I want to hear from you – what kind of family do YOU have?